Hiya! I just washed off a strip of this stuff off my nose + a bit of my cheek area. It’s the Tony Moly Egg Pore Tightening Cooling Pack*, which is a most welcome source of relief from the heat and sweaty summer. Product Description The enhanced ice corset pore pack tightens open and loose pores seamlessly with a cooling effect that covers the pore. I’ve always been skeptical of pore packs (pores don’t “open” or “close”) but there are certain masks and products that reduce the appearance of enlarged pores, and this is one such product. It’s water-based and has kaolin clay as the second ingredient. 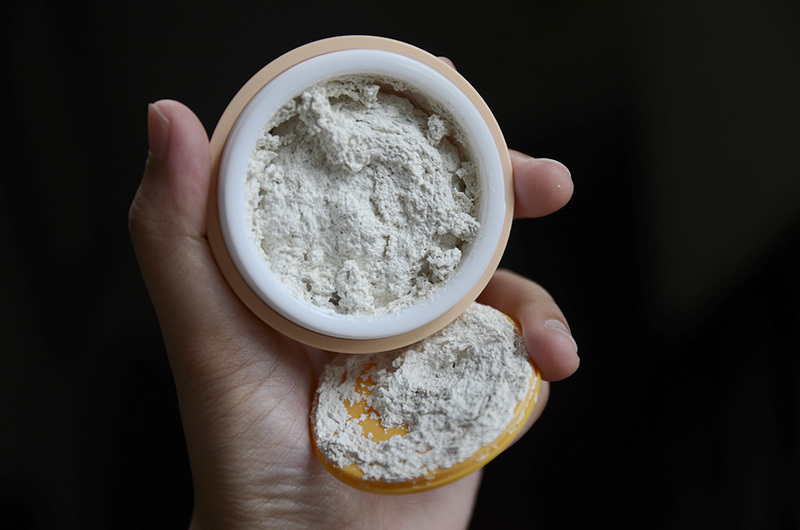 Kaolin clay, even by itself, is widely used as a face mask since it absorbs oil. White Kaolin also has an astringent effect, removing impurities from the skin. I’ve had a few clay masks, including pure pink french kaolin clay, which is pretty much ground clay that you have to mix with a bit of water to spread on your face. Unlike most clay-based masks, the texture of this one is a bit spongey, like a fluffy, light mousse-y sponge cake. I was scared that it’d be crumbly when I put it on, but it spread well and evenly over my nose. There is a cooling sensation for the first 7 or so minutes, and it’s pretty easy to wash off. The scent’s not offensive or overly strong either, but there’s a scent, so keep that in mind! It’s a refreshing and simple skin care step you can do while working (at home) or relaxing! Usually, you use masks about twice a week only, but there’s no indication of regulation on the box of the Tony Moly Egg Pore Tightening Cooling Pack. The shipping was fairly quick and the Q-Depot team is very accommodating. Their website also has a category that shows you cruelty-free products and brands, for easy shopping. Oh sounds cool. Surely will try it out. I visited q-depot website and i like their web color scheme and design. They are pushing cruelty-free cosmetics as well and thats really great job. Previous PostA couple of FOTDs and a hi!